An Ariane 5 rocket is scheduled to lift the uncrewed spacecraft into orbit from French Guiana shortly before midnight, the start of a seven-year journey to the solar system's innermost planet. The European Space Agency says the 1.3 billion-euro ($1.5 billion) mission is one of the most challenging in its history. Mercury's extreme temperatures, the intense gravity pull of the sun and blistering solar radiation make for hellish conditions. Newly developed electrical ion thrusters will help nudge the spacecraft, which was named after Italian scientist Giuseppe "Bepi" Colombo, into the right orbit. When it arrives, BepiColombo will release two probes—Bepi and Mio—that will independently investigate the surface and magnetic field of Mercury. 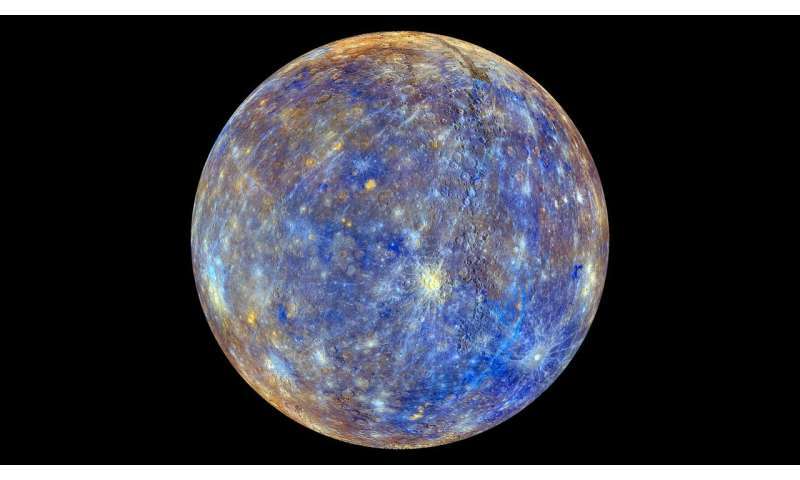 The probes are designed to cope with temperatures varying from 430 degrees Celsius (806 F) on the side facing the sun, and -180 degrees Celsius (-292 F) in Mercury's shadow.